Call Me Maybe – Alaskan Style! With the exception of those who may have spent all of 2012 living under a boulder, you’re probably well familiar with the slew of “Call Me Maybe” cover videos that are circulating the digital world. Some of the most famous include the U.S. Olympic Swim Team, the Harvard baseball team, Sesame Street and even Jimmy Fallon (who at least was joined by the original artist, Carly Rae Jepson, of Canada, for his rendition). Well, there’s finally one to make hunters proud. And leave it to those wild and crazy folks in Healy Lake, Alaska to bring it to us. It’s worth checking out, with the fair warning that you’ll likely not get the song out of your head the entire day. That is an issue if you’re a middle-aged gent who runs the risk of getting odd looks from co-workers and wives alike. If you’re a single woman, you should be fine. Sadly, while videos of its kind have generated more than 1 million views from around the globe, the recently uploaded Alaskan Hunter version is up to a shade over 8,000 on popular sharing site YouTube. Give it time. Fear and the observation that my nimbleness has lost some of its vigor in recent years led me to drop a little extra change before this hunting season started. And unlike that slumped over walk of shame you sometimes present around your wife after a hunting purchase, this one came with nothing but support. 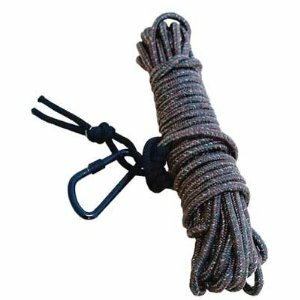 After doing research, I purchased the multi-pack of Hunter Safety System Lifeline in order to maximize my safety over the duration of my ascension into a treestand, and the subsequent climb down following. I’ve always worn a safety harness of some kind the last 20 years, but have zero reason why I haven’t completed my safety repertoire by having a climbing system in place. Why now? Well it started with an innocent fall out of the back of my truck a couple weeks ago after my foot got hung up between the wheel well and 4-wheeler. A few days later, I slipped while adding corn to a feeder that led to a ‘(bleep) over tea kettle’ moment that knocked the wind out me. Simply put, I’m just not as nimble as I used to be. Call it age, lack of concentration or added weight to new places on my body (I don’t quite weigh the 150 lbs. I did as a young hunter), it’s just different. I purchased the HSS Lifeline instead of opting to make my own for a couple reasons – none more significant than the fact that the cost was not significantly higher to purchase the sets already made. I was able to put the Lifeline to the test already this season. The NC opener was Sept. 8 and my hunting buddy Jason and I were able to hit the woods for a few hours. 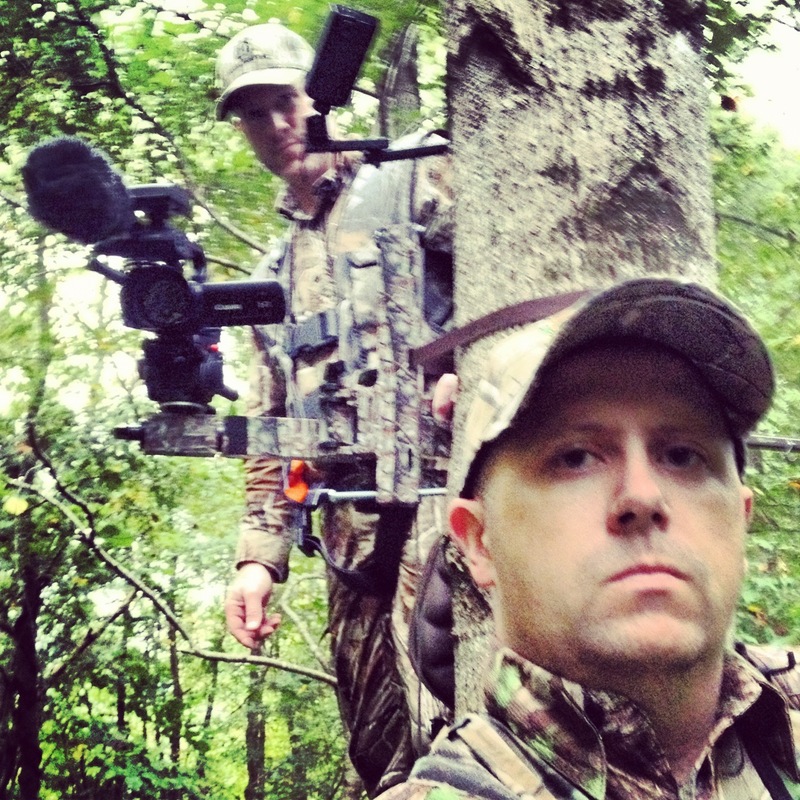 Jason Shell and me during a beautiful NC morning hunt. No shots fired. Our hunting team is planning to do a lot more videoing this year after Jason’s resilience led to the purchase of a full set of HD equipment (all the top stuff). I’m looking forward to being part of both the hunting and videoing of several hunts throughout the season. Where did all the posts go? Posts have been a little bit ‘off the radar’ for much of the year. Good news – the hunting season is upon us and I have a sleeve full of ideas to write about. The frequency of posts is likely to start climbing soon. There are a few AHT8 posts coming up too (8 questions from people you’ve heard of in the outdoors). We’ll also be hearing more from our AHT Northern Field Editor Greg Johnston over the next several months. Please keep checking back for that. 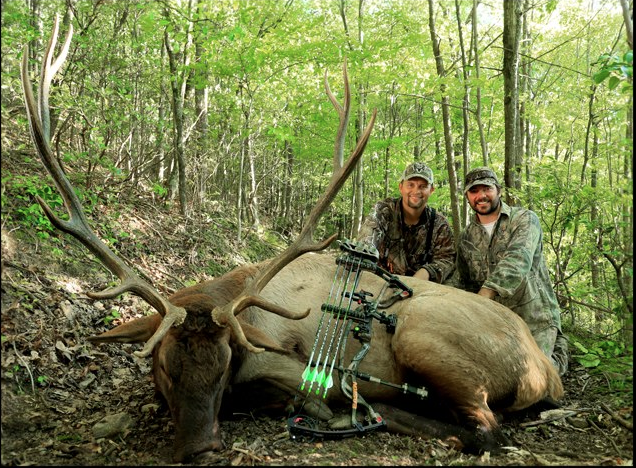 Whether your season has started or not, here’s hoping the 2012-2013 season is the one where your outdoor dreams come true.